In this paper, an optimized method of measuring the geometric motion errors of a coordinate measuring machine (CMM) is proposed. The method is based on an improved double ball bar (DBB) that acquires the motion and link errors of the CMM and its actual rotation angles through simultaneous circular tests. The improved DBB has embedded a ring encoder system to the bottom of a commercial DBB on an auxiliary platform. In addition, an improved motion and link error separation algorithm is established by considering the difference angle Δθ between the actual rotation angle and the theoretical rotation angle of the DBB. Both influential factors of the center offset of the DBB and Δθ are discussed through simulations. When geometric motion errors are compensated for and measured on a 400 mm × 400 mm × 150 mm CMM, the standard deviations of the roundness errors decrease to 1.9 μm and 1.5 μm on the XY and ZX planes, respectively. P. Yang, Y. Wu, H. Yu, and Y. Guo, “New Method Based on Improved Double Ball Bar for Measuring Geometric Motion Errors of Coordinate Measuring Machine,” Int. J. Automation Technol., Vol.12, No.2, pp. 199-205, 2018. P. M. Cauchick, T. Kinga, and J. Davis, “CMM verification: a survey,” Measurement, Vol.17, No.1, pp. 1-16, 1996. M. David, Z. Idelmerfaa, and J. Richard, “Managing and organizing concurrent processes according to the CMM levels,” Concurrent Engineering, Vol.13, No.3, pp. 241-251, 2005. G. Krajewski and A. Woźniak, “Simple master artefact for CMM dynamic error identification,” Precision Engineering, Vol.38, No.1, pp. 64-70, 2014. W. Knapp U. Tschudi, and A. Bucher, “Comparison of different artefacts for interim coordinate-measuring machine checking: a report from the Swiss Standards Committee,” Precision Engineering, Vol.13, No.4, pp. 277-291, 1991. J. Barreiro, S. Martinez, E. J. Labarga et al., “Validation of an information model for inspection with CMM,” Int. J. of Machine Tools and Manufacture, Vol.45, No.7, pp. 819-829, 2005. H. Kunzmann, F. Waeldele, and E. Saljé, “On testing coordinate measuring machines (CMM) with kinematic reference standards (KRS),” CIRP Annals-Manufacturing Technology, Vol.32, No.1, pp. 465-468, 1983. W. Knapp, “Circular test for three-coordinate measuring machines and machine tools,” Precision engineering, Vol.5, No.3, pp. 115-124, 1983. T. Stejskal, T. Kelemenová, M. Dovica et al., “Information Contents of a Signal at Repeated Positioning Measurements of the Coordinate Measuring Machine (CMM) by Laser Interferometer,” Measurement Science Review, Vol.16, No.5, pp. 273-279, 2006. Q. Huang, K. Wu, C. Wang et al., “Development of an Abbe Error Free Micro Coordinate Measuring Machine,” Applied Sciences, Vol.6, No.4, p. 97, 2016. I. K. Lee, M. D. Lee, and H. S. Yang, “Parametric modeling and estimation of geometric errors for a rotary axis using double ball-bar,” Int. 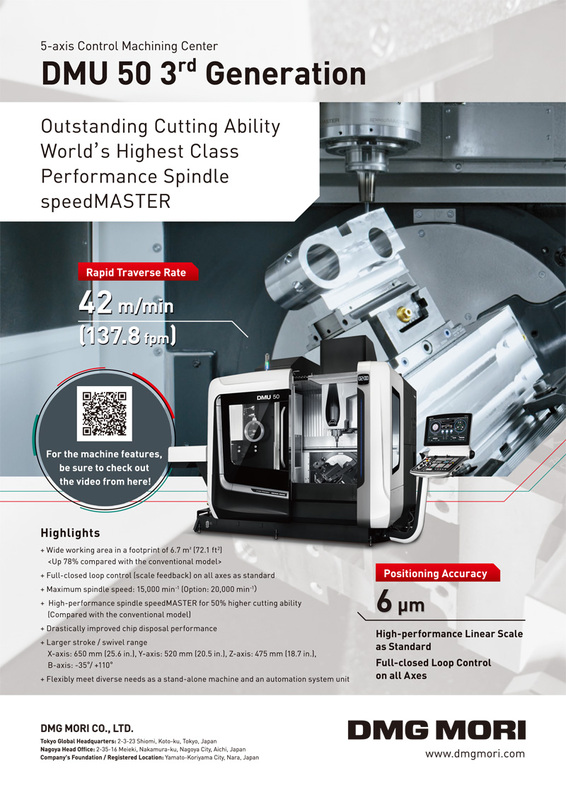 J. of Advanced Manufacturing Technology, Vol.62, No.5-8, pp. 741-750, 2012. I. K. Lee and H. S. Yang, “Accuracy evaluation of machine tools by modeling spherical deviation based on double ball-bar measurements,” Int. J. of Machine Tools and Manufacture, Vol.75, pp. 46-54, 2013. M. Madden, M. Aketagawa, S. Uesugi et al., “Spindle error motion measurement using concentric circle grating and phase modulation interferometers,” Int. J. of Automation Technology, Vol.7, pp. 506-13, 2013.